In general, Community Health Workers (CHWs) are frontline public health workers. They provide individual and community engagement, education, advocacy, assistance in case management and home visiting services, referral and follow-up to women, men, and children who are at risk for poor health, health care and disease. Services are provided by professionals who live in or are familiar with the community. Community health workers develop peer-to- peer relationships of trust with people, rather than provider-client relationships or clinical expertise. It is these relationships, which contribute most importantly to the workers’ ability to communicate openly with their peers and community. CHWs create a bridge between providers of health services, community services, social agencies and vulnerable populations within the community. Community health workers are trained to provide basic health education and referrals for a wide range of services, and to provide support and assist in navigating the health and social services system. 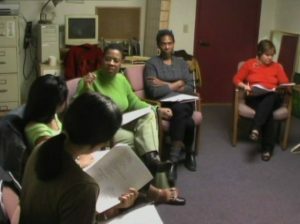 In addition community health workers can build community capacity through through workshops and programs. CHWs with their peer -to- peer relationships are better positioned to see the assets of their community instead of a deficits approach, which can be enhanced by their ability to perform community assets mapping – identify community resources. They are also positioned to perform data collection, which can be used to advocate for and with individuals and their communities. In the Patient Protection and Affordable Care Act 0f 2010, CHWs are recognized as important members of the health care workforce. On July 7th 2010 the Labor Dept approved Community Health Workers as a registered “apprenticeable occupation”, however, formalized CHW education programs have only recently been developed. Rosenthal and colleagues also identified eight core skill clusters including (in order of frequency cited) communication skills, interpersonal skills, knowledge base, service coordination skills, capacity skills, advocacy skills, teaching skills and organizational skills. Since then other skills have been identified such as leadership and safety (violence avoidance). Clearly the roles played and skills needed by CHWs are complex and multi- dimensional. The Center for Sustainable Health Outreach (CSHO) has an ongoing project cataloging CHW programs that offer credit, certificates, or degrees at institutions of higher education. Thus far the project has identified 15 programs in 10 states that offer courses, certificates, and/or degrees for generalist CHWs (CSHO, 2005a). 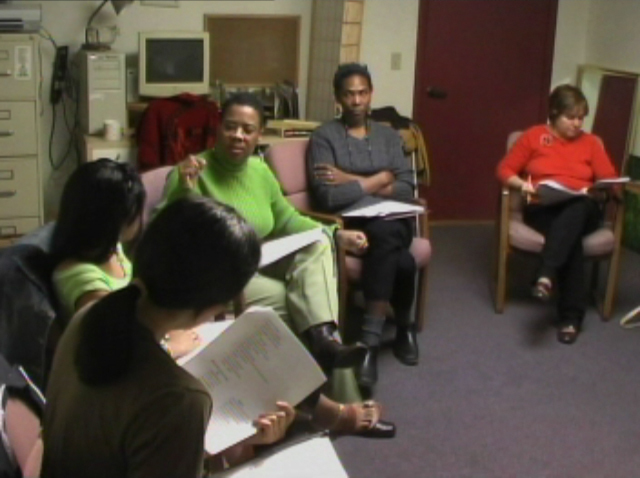 Additionally the Community Health Worker National Education Collaboration (CHW-NEC) funded by the U. S. Department of Education’s Fund for the Improvement of Postsecondary Education was formed to assist in the development of CHW educational resources, services, curricula, and promising practice delivery strategies that are particularly responsive to community and health and human services delivery. In Rhode Island, CCRI is in the process of creating a Health and Social Service certificate and associates degree program that includes the first formal training program for Community Health Workers in Rhode Island. Rhode Island College has agreed to accept 75% of the credits of the CCRI programs creating a mobility and career path for the workforce. Our organization, the Community Health Innovations, CHW certificate course will complement CCRI efforts by creating more community based educational opportunities, service provisions and capacity building that will have recognized transferable credits.